How to earn quick money from online surveys? Do you want to earn some quick cash to pad your monthly income? I'm pretty sure a lot of you will say a resounding yes! I have been reading a lot about online surveys and I got curious so I research more about it. What is an online survey? 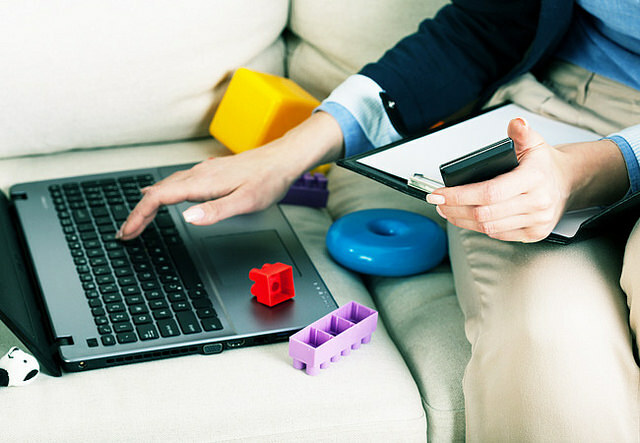 An online survey is a survey conducted online via PC, tablet or mobile. Online surveys have become more dynamic because you'll maybe be asked to watch a short video or take photos before answering the survey questions. 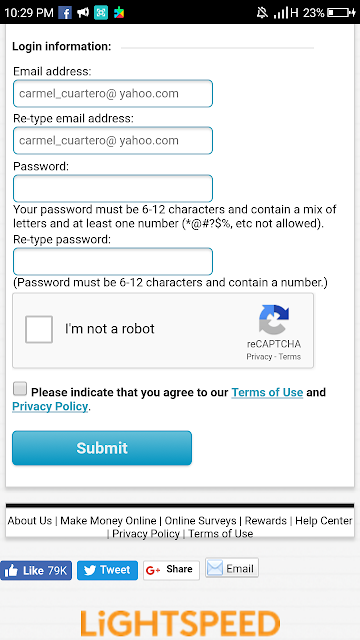 I have picked several online surveys to which I submitted my registration form and I am doing their surveys now. I will only discuss the online survey from which I actually received monetary compensation because I am 100% sure that it is legitimate, you will not pay anything, you will receive the promised payment and it is easy as pie to do it! In fact after a month of answering their surveys, I already received my first payment from their company. 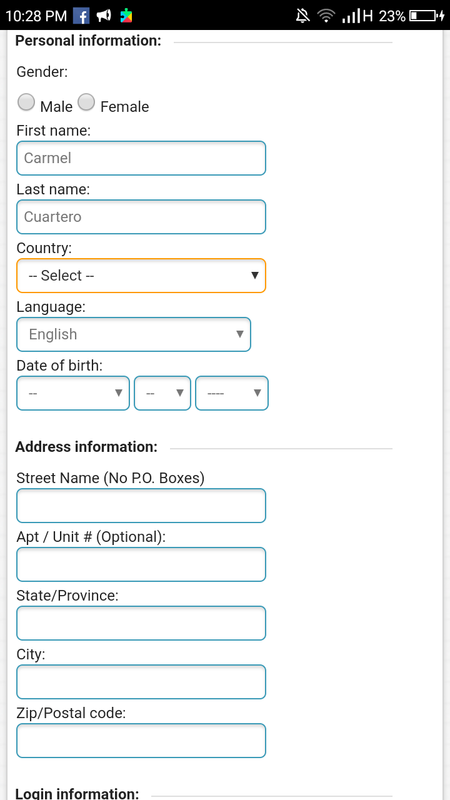 The name of the online survey is GlobalTestMarket. The company did not ask payment from me to be able to register, it is absolutely free. It promised to pay the respondents in the form of cash or gift vouchers. Upon accumulating 570 life points you can earn Php 500, 1130 lifepoints is equivalent to Php 1000.00 and 1700 lifepoints will make you richer by Php 1,500. 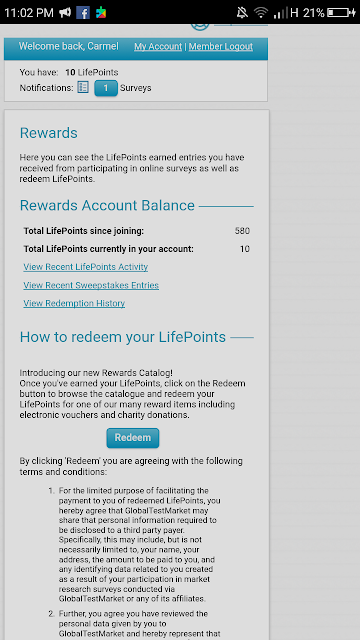 You can exchange your points too in their rewards catalogue for vouchers or for donations to charities. 4. You will then receive a confirmation email after submitting the registration form. 5. 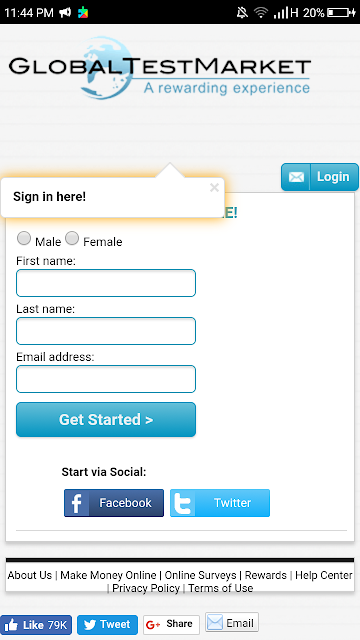 Once membership is confirmed, members will be able to access their personal page and start any surveys on hand. Each survey has corresponding life ponts which ranges from 5 points to 100 points. I submitted my registration form a month ago and a month later I completed 570 lifepoints! Yay for me! I wanted to redeem it immediately, to test if I will be paid for it. I picked to redeem my reward by Paypal. 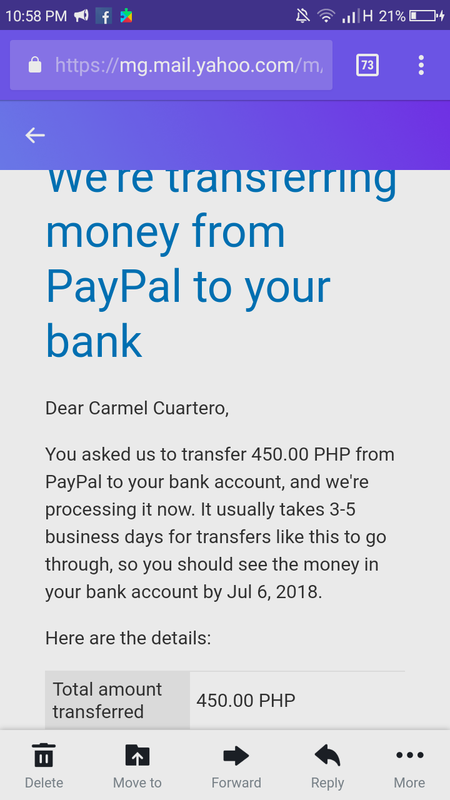 I signed in with Paypal and you have to link your bank account to receive pay out from GlobalTestMarket. The process would just take a few minutes to do. The total payout amount is Php 450.00, a 10% fee was deducted. 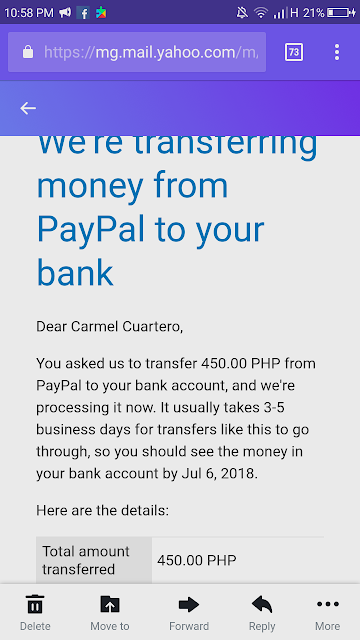 In my case after withdrawing the amount of Php 500.00 from Paypal, I was able to withdraw the amount of Php 400.00 at the ATM the same day. My quest to find out if online surveys are legitimate and if they pay was verified to be true by my experience with GlobalTestMarket. The pay may not be much but hey, answering the surveys was easy & fun to do and you get paid for it! On a final note, check your email from time to time to receive the survey invitations. It is available on a limited time only because if the number of respondents required has been filled up, the survey invitation is closed. Care to try it? It is fun being online but it would be more fun if you'll earn even a bit from it too! If you had earned from online surveys like GlobalTestMarket or other online surveys, share your experiences by commenting below. If you like this article, share & like it too. If you want to be notified if a new blog is up, hit subscribe, found at the top of this post.